A diet Sierra Mist for me! This lucky foodie was in for a treat yesterday. Do you watch Chopped on the The Food Network? 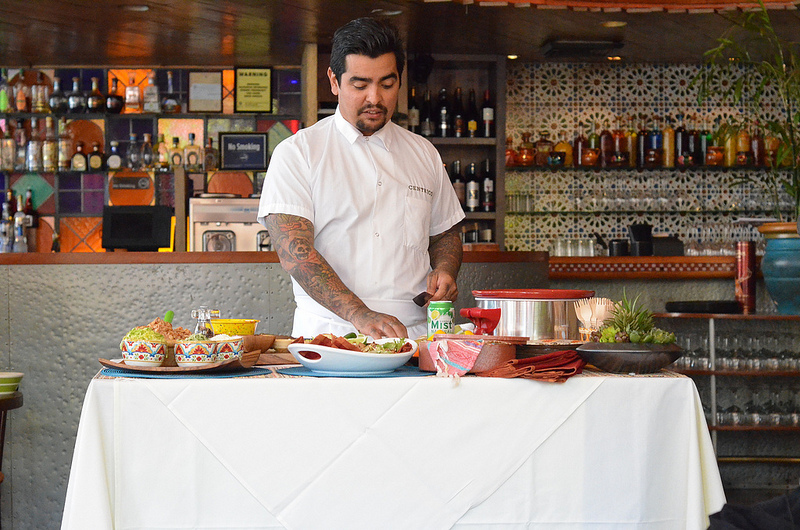 If you do, then you will certainly recognize Chef Aaron Sanchez. Well, he teamed up with Sierra Mist Natural to bring us sizzling recipes full of Latin flavor. I got a first taste of the delicious dishes and drinks from the Comer Juntos recipes at Centrico, Chef Aaron’s famed NYC restaurant. It was such a delight watching his cooking demonstration and tasting the phenom food. The food was so savory! The green rice was so flavorful…so buttery, I couldn’t get enough. Here’s the best part. Have you ever had corn ice cream? It was awesome. Sweet and creamy with with hint of corn. I loved hearing Chef Aaron speak about cooking. He definitely has passion and an amazing personality. Best part? The recipes for some of the delish dishes above can be found on Facebook.com/SierraMist.